Italy had a dream to colonize the Horn of Africa and North Africa. Thus the landless Eritreans from all nationalities became the backbone of the Italian army in the conquest of Libya, Ethiopia and Somalia. In 1939, about 70,000 Eritreans were conscripted to wage a war against Ethiopia alone. The Italian military sector, therefore, became the meeting spot of all ethnic groups. This helped Eritreans to share common experiences, exchange views and strengthen their national outlook and integrity. In course of time, many city-states appeared. Some of the famous city-states were Adulis, Kohaito, Tekond’a, Keskese and Metera in Eritrea, and Yiha and Axum in Tigray. Eritrea is a country of nine nationalities. They belong to Nilo-Saharan, Kushitic, and Semitic families. The earliest inhabitants of Eritrea were Pygmoid type of people. The Nilo-Saharan family (Nilotic) were the first migrants to Eritrea. They migrated to Eritrea from Upper Nile. They intermarried with the Pygmoid population. This resulted in Nara and Kunama ethnic groups. Since the introduction of Christianity and Islam to Eritrea, the country is endowed with ancient Monasteries and Mosques that are in possession of ancient historical heritages and places of worship. 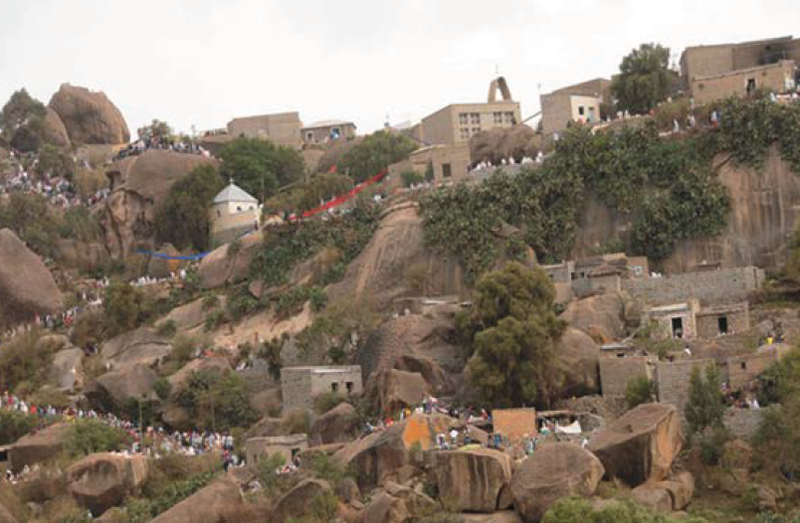 The Monasteries of Debre Bizen, Debre Sina, Hum, the Sahaba Mosque and the Shrine of Mariam De’arit are some of the Holy places that are ancient, historical places and attract many visitors.